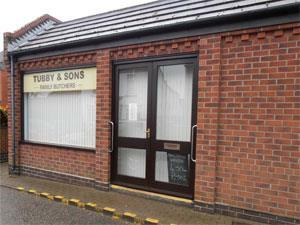 Tubby's Butchers01493 720265work ButcherTubby's Butchers in the village of Caister-on-Sea near Great Yarmouth is a family run business specialising in the sale of great quality meat cuts and products. On arrival in Great Yarmouth follow signs for the A149 towards Caister-on-Sea, proceeding straight ahead at the Yarmouth Stadium mini roundabout into the village. Take a right turn at the next mini roundabout onto Tan Lane, Tubby's Butchers is located mid-way along the road on the right hand side.